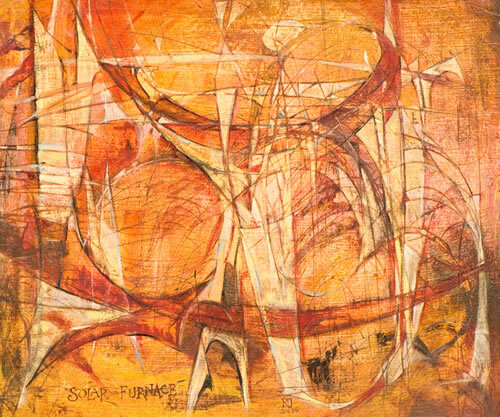 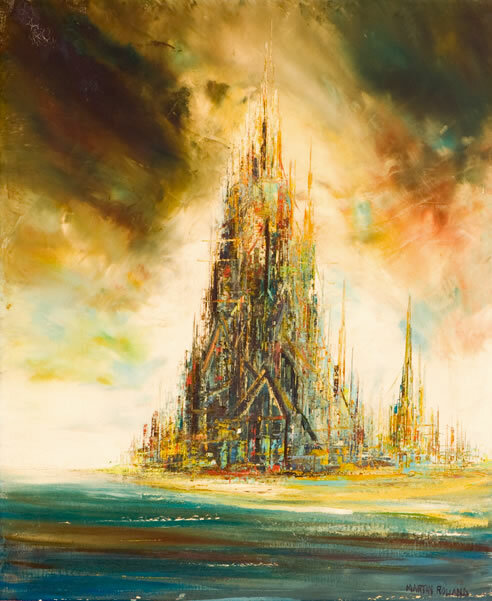 Robert P. Jenkins(20th century) "Solar Furnace", 1956, oil on shellacked drywall, 25x30", framed. 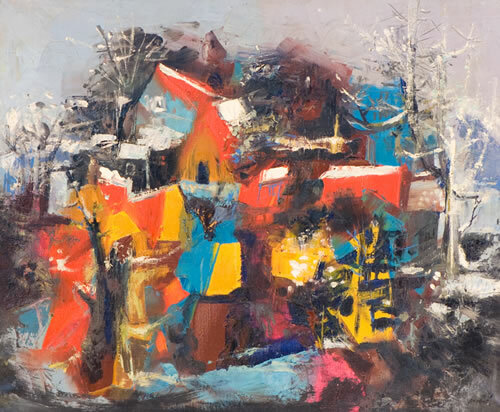 Luis Vidal Molne(1907-1970) "Village under snow", oil/canvas, 23.5x21.5", framed. John Coulter(20th century) "New Mythology", charcoal, pencil and watercolor on paper, 38x28", framed. 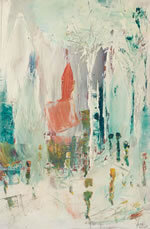 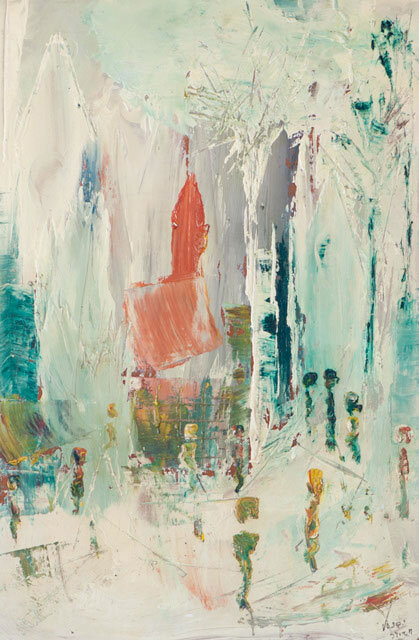 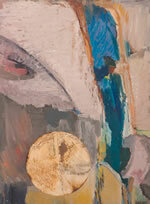 Elsa Warner(20th century) "Abstract Painting", oil/canvas, 40x30", framed. 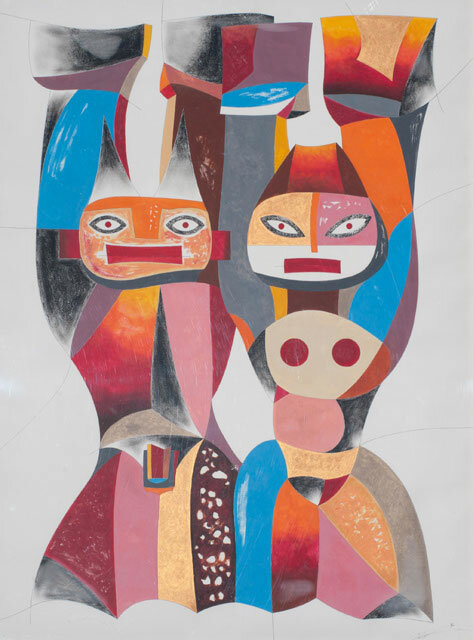 Vase(20th century) "Abstract Painting", oil/canvas, 36x24", framed. 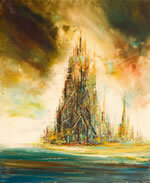 Martin Rolland "Modern City", oil/canvas, 29x23.5", framed. 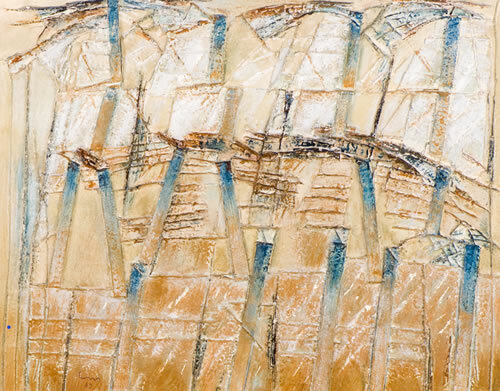 Christiane Malval(20th century) Abstract paintings "Rhythms", 1982, mived media on board, 36x28.5", framed.